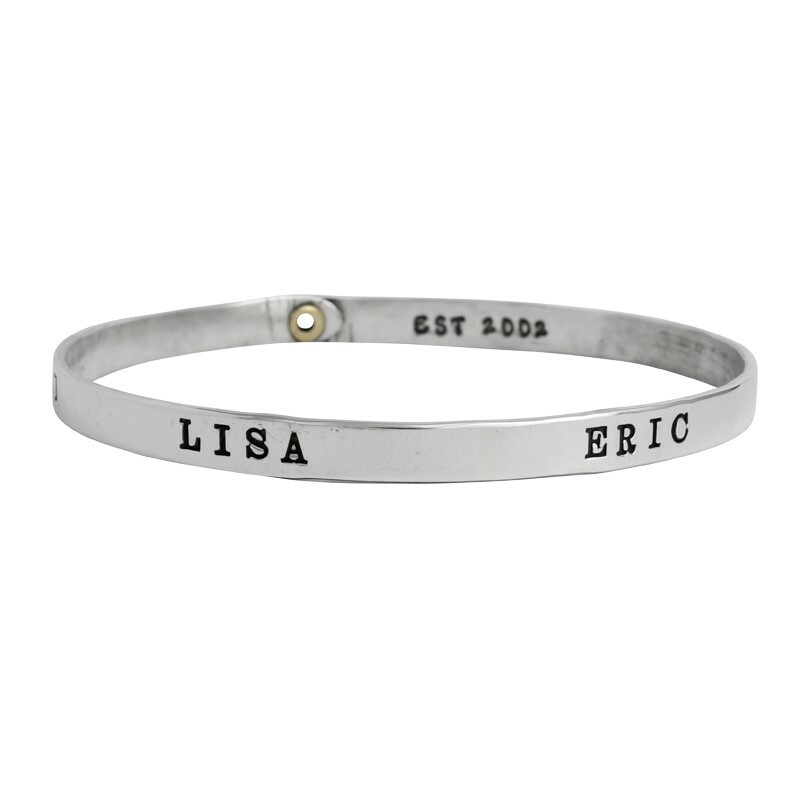 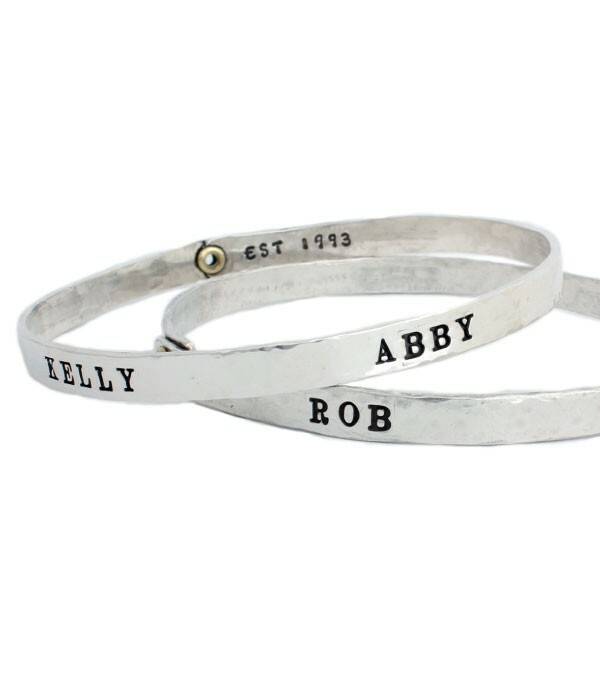 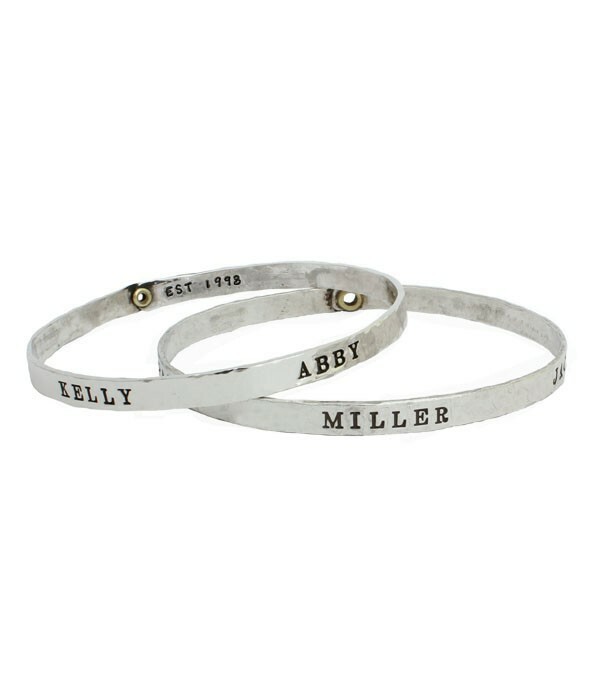 Our grandmother's bracelets are the perfect gift for the grandmother of one, or many. 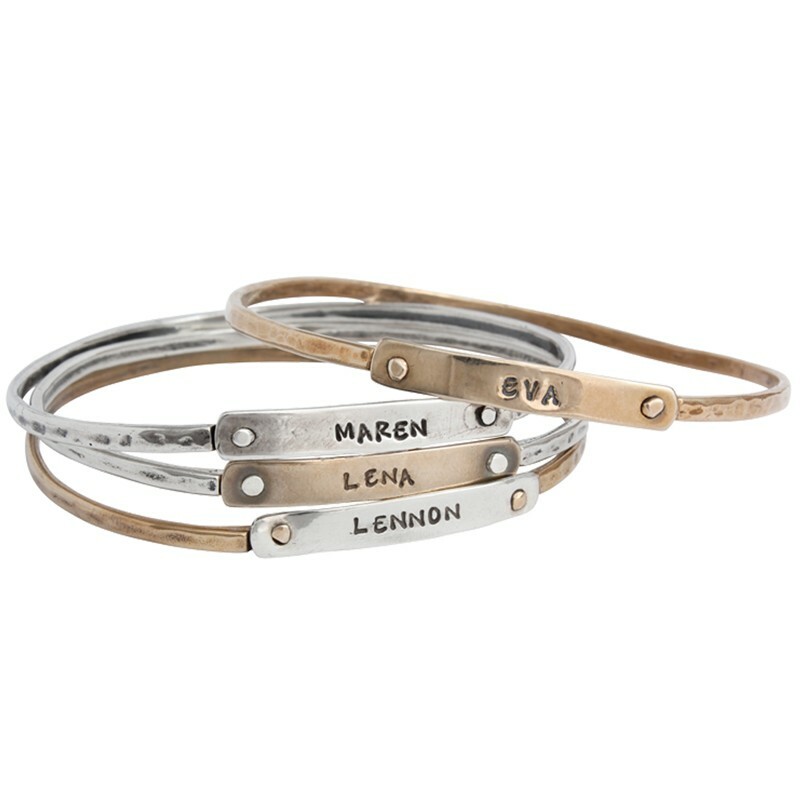 Wear a single bangle bracelet by itself, or stack multiple! 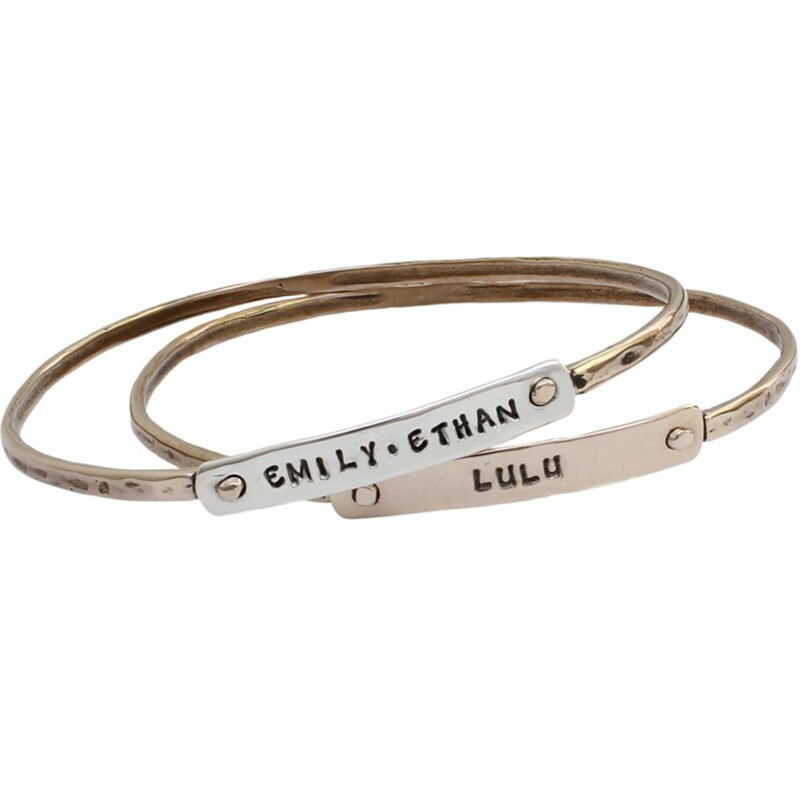 We offer a double and triple band intertwined bangle bracelet that mimics the style of our rings, and would be great paired with a personalized grandmother's birthstone or charm necklace. 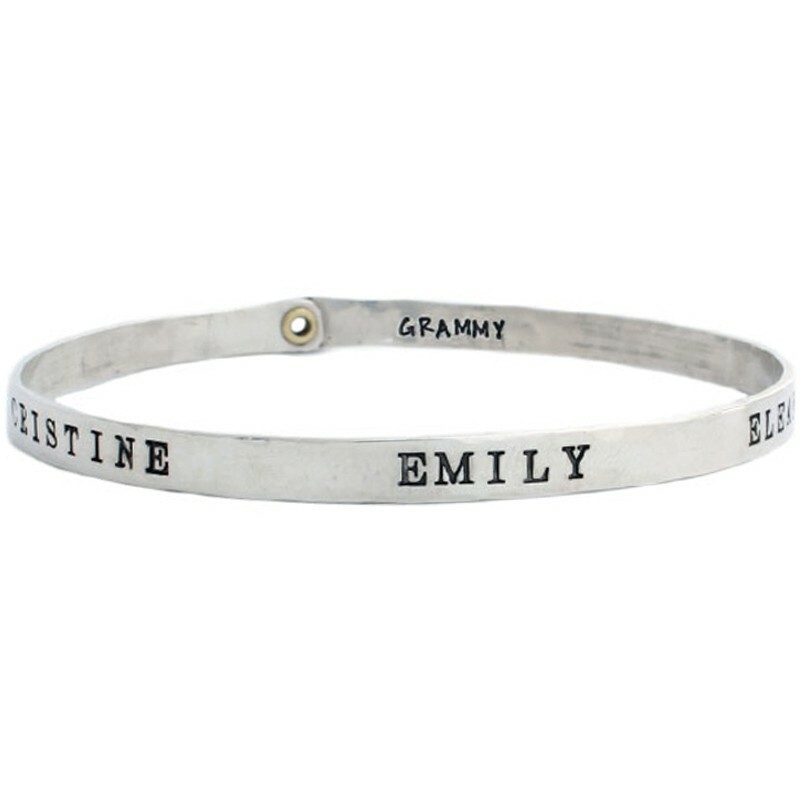 Maybe she prefers the charm bracelet style, which can always be added to. 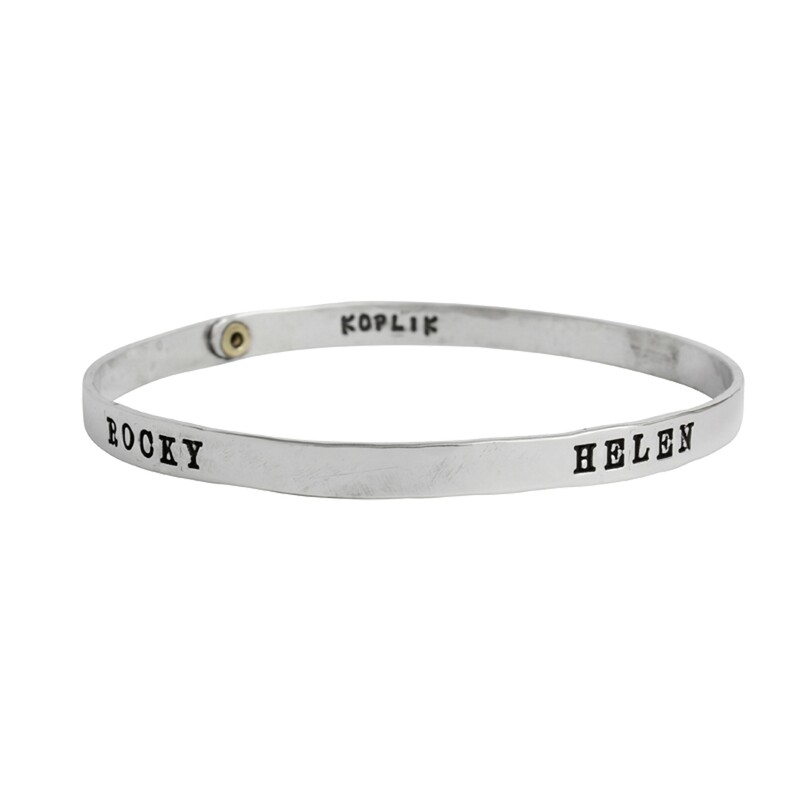 Whatever you decide, it will surely be a cherished piece of jewelry for years to come. 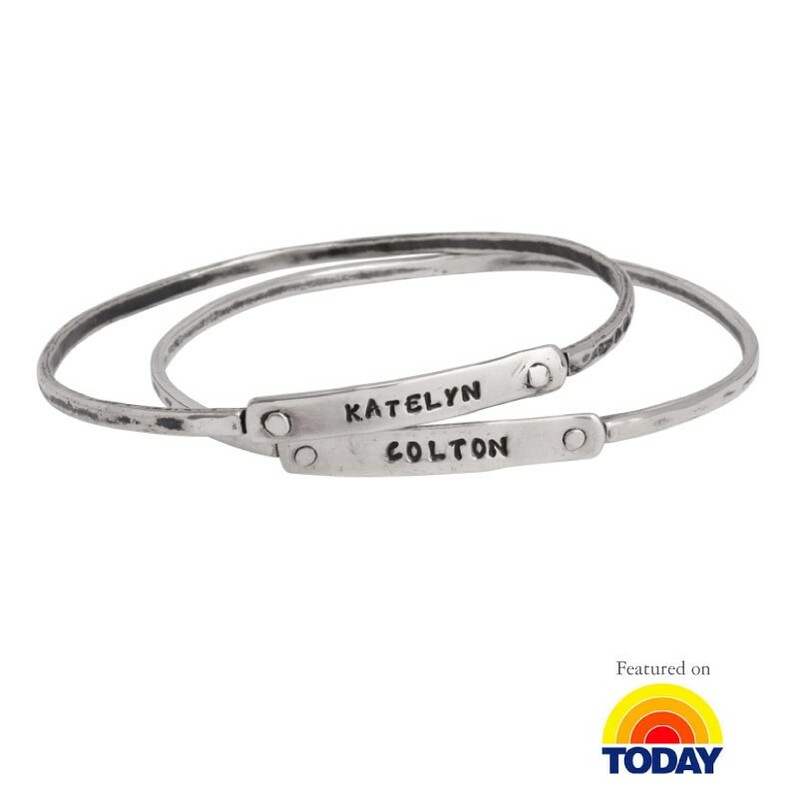 "Family Name Bracelet for Six Grandchildren, Silver Bangle"
"Grandmother's Name Bangle Bracelet Silver, Triple Intertwined"
"Personalized Charm Bracelet Silver, Grandbabies Bracelet"
"Personalized Grandmother's Bangle Bracelet Silver, Eternal Love Bangle, Single"
"Personalized Grandmother's Name Bangle Bracelet Silver, Double Intertwined"
"Personalized Grandmother's Name Bangle Bracelet, Silver Stacking Bangle"
"Stacking Custom Bangle Bracelets for Five Grandchildren, Silver and Gold, Beloved Bangle Bracelets"
"Stacking Custom Bangle Bracelets for Four Grandchildren, Silver and Gold, Beloved Bangle Bracelets"